for the past few years. Appropriately named, Free 6lack is a testament to the artist's battle to be heard and he's finally getting the attention he deserves. While 6lack's story is new to the rest of the world, Atlanta has been rooting for the artist for quite some time. Since 2011, 6lack has gone back and forth with an unnamed label and is finally free from the reigns. This allows for 6lack to take full creative direction now that he is attached the LVRN label alongside acts like Raury. 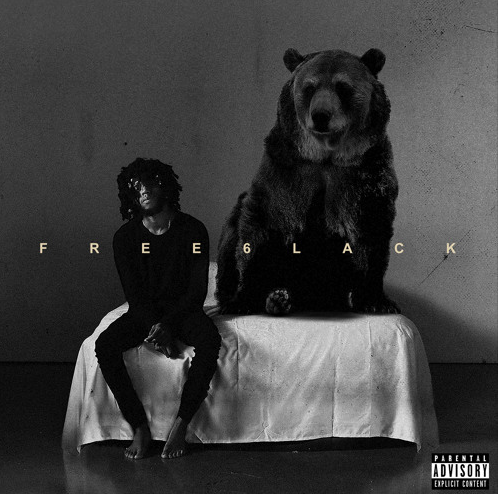 From the cover art (that's a real bear by the way) to each track, it's evident that 6lack has been yearning to be heard. The debut has zero features to keep 6lack's "monochrome" style of the eclectic R&B at the forefront. The 11-track project features 6lack's take on Future's "Perky's Calling" with "Ex Calling" and the single "PRBLMS". Stream Free 6lack below!